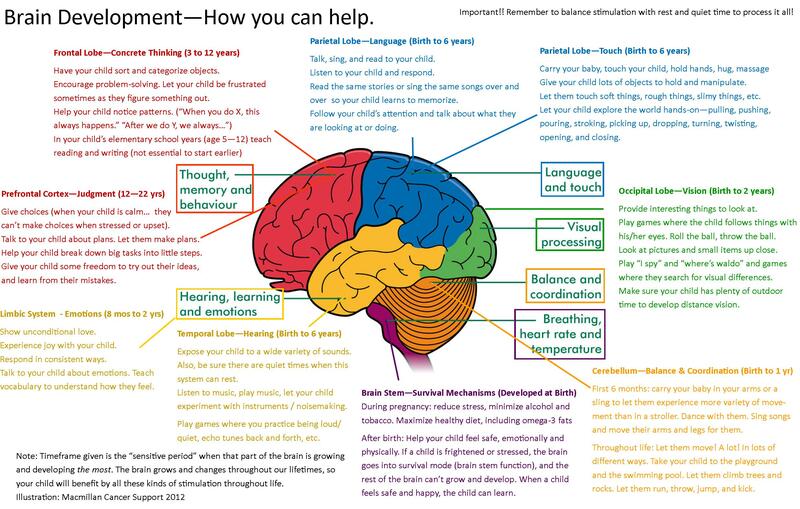 I have created a poster / handout on brain development and how parents can help their children learn. Great for educators to handout or post, but also helpful for parents to print a copy to post on the fridge as a reminder of ways to help all of your child’s brain capacity develop. The ages shown are “sensitive periods” when that part of the brain is most actively developing or reaching maturity, and when parents might most want to focus on those skills. On the back is the handout for my “Hands On is Brains On” presentation. If you don’t have access to a printer that can do 11×17 (most printers can’t), the “brain map” will reduce well to print on an 8.5×11 sheet. 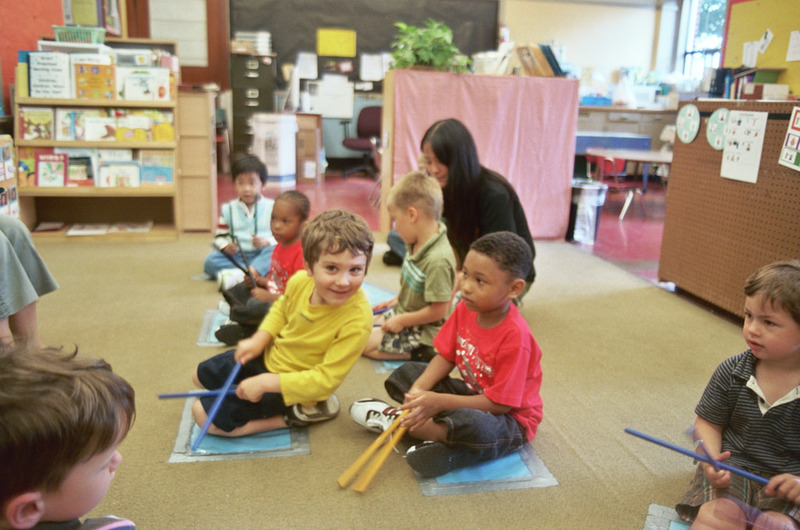 This entry was posted in Child Development and tagged brain development, early learning, preschool, toddler on June 23, 2015 by Janelle Durham. We’ve built a great new science exploration tool, which we’ll definitely be using in our new Family Inventors’ Lab class and we MIGHT premiere it at this weekend’s Healthy Kids, Healthy Families Fair if beta testing continues to go well. Dave Stroud says this about how kids (and adults!) play with a wind tube. I have definitely seen this in action. My four year old has played with the tube a lot in the past 24 hours. (And my 17 year old had a great time with it too…) And rather than wanting to fly the same thing over and over, it’s definitely been (for him and for me) an exercise in looking around the room and deciding what to try next! As he experiments, I hear him talking differently than he has talked about most things in the past: “I wonder what this will do?” “What can I try next?” “What do you think will happen this time?” “That didn’t work, I wonder if I could combine it with this?” It’s definitely “tinkering” in action! • Generating a particular category of questions such as: How can I get it to…? What if I…? Instead of: Why does it…? What makes it…? The frisbie. (really a plastic lid) It gets caught in the air currents and will float forever. We’ve learned that if you put your arm over the fan to block some of the air flow, the frisbie will sink down the tube. Cardboard boat. This cardboard snack tray will float easily on its own. The small plastic monster will not – it’s too heavy and not aerodynamic. But, put the monster in the boat and it floats! Parachutes. This plastic pterodactyl won’t fly even though it has wings. But, if you build it a parachute out of a plastic bag and a pipe cleaner, it soars. Pipe cleaner spinner. My personal favorite is this twirled-up pipe cleaner that spins and spins as it floats in the air. Tops. And speaking of spinning, watch these plastic tops. They don’t float, but they definitely respond to the wind! As he plays, he’s learning hands-on about aerodynamics, wind currents, how lightweight things fly better than heavy things, but even heavy things can fly if they have a parachute or an “air ship” that can catch the wind currents. Having the ability to play hands-on with this will allow him to internalize the learning much more than when he covers all this stuff in high school physics class someday! If you want to read more about “transactivity” and what makes this such a cool learning activity, check out Stroud’s post: http://www.exhibitfiles.org/vertical_wind_tubes. This is a great “case study” post, which shares observations on how people play with the tubes. Info from the Exploratorium: directions on how to make a wind tube include ideas for what materials you can “fly” in it. They have a collection of photos and thoughts about their process of designing the wind tubes. and there’s a debrief from facilitators, sharing their observations of how visitors played with the tubes. Here’s a slightly different design, and observations from using it. This entry was posted in Play and Fun Activities, STEM activities and tagged early learning, experiments, preschool, science, toddler, wind tube on February 2, 2015 by Janelle Durham. What could be better on a hot day than wading in a cool creek? Note: You do need to closely supervise here… the middle picture above shows the waterfall at the edge of this little pond area. 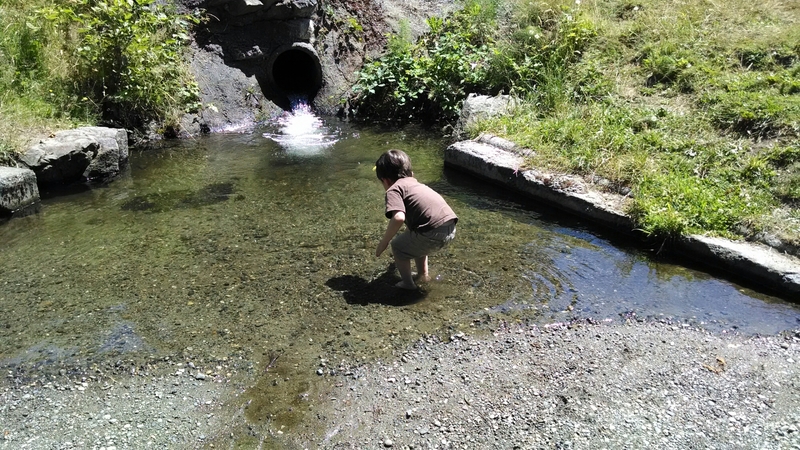 This entry was posted in Nature Activities, Seattle area and tagged early learning, heat, kids, Kirkland, nature, preschool, summer, toddler on July 12, 2014 by Janelle Durham.